Marketers must always remember that seniors still represent a formidable demographic when it comes to spending in the U.S. economy. The fact that they are retired or nearing the end of their careers should be seen as an opportunity to capitalize on their free time and disposable incomes. And although it’s best to follow some general guidelines when marketing to seniors, the payoff can be worth any hassle when putting together a focused marketing campaign. 1. Direct Mail: Direct mail is still the most personalized form of marketing available and the easiest way to measure campaign results. It’s also perfect for seniors who still don’t mind reading “snail mail” that contains long copy or print magazines and brochures. Capturing their attention will still take some clever pieces, but the returns can be high if the focus of the campaign is solid. 2. Newspapers: Yes, I mean physical newspapers, not online publications. Although the interest and readership in newspapers is dying, the decline is slowest amongst seniors; enjoying a morning coffee and a newspaper is still habitual for many of them. Advertising through print is a viable option when targeting the elderly. 3. Sponsorships and Events: As mentioned, most seniors have considerably more time than younger generations and are looking for events and opportunities to participate in or give back to. Having a presence at sponsorship events, as well as local community events, fairs, or elderly meetups, is as good a platform as any on this list. 4. Television and Radio: A recent study reveals that American seniors watch double the amount of TV compared to all other ages averaged out, with people over the age of 74 leading the way. In addition, Nielsen stats show that seniors still listen to the radio in high percentages. If you want to get your message in front of the elderly, then get on their favorite TV or radio stations. 5. Social Media: You read that correctly; seniors are now on social media! A recent Pew Research study revealed that more than half of people aged 56 and older are using Facebook, which is key, because Facebook still remains by far the most popular social media platform. As long as marketers stay up-to-date on the mediums that seniors are frequenting for their information and entertainment, they’ll be able to continue to tap into what is still a profitable demographic. Of course, you must have the right product and identify a need that seniors are looking to get filled. Once that is accomplished, then get in touch with the experts at Macromark. We specialize in launching focused, direct marketing campaigns and can help make your business and service known through these channels. Duggan, M., et al., “Social Media Update 2014,” Pew Research Center web site, January 9, 2015; http://www.pewinternet.org/2015/01/09/social-media-update-2014/. Plorin, R., “Marketing to Seniors? 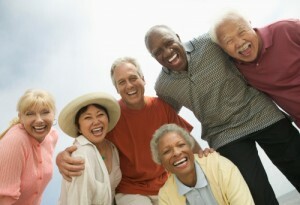 10 Tips for Reaching and Older Patient Demographic,” Business 2 Community web site, August 16, 2014; http://www.business2community.com/marketing/marketing-seniors-10-tips-reaching-older-patient-demographic-0975721.